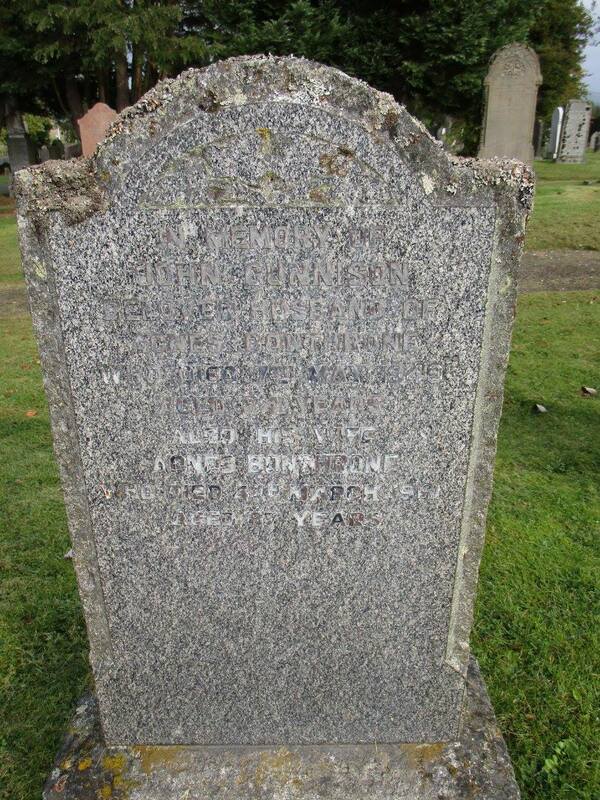 Burial*: He was buried after 7 May 1949 at Blairgowrie, Perthshire, Scotland; headstone in Blairgowrie Cemetery: In memory of John Cunnison beloved husband of Agnes Bonthrone who died 7th May 1949 aged 84 years. 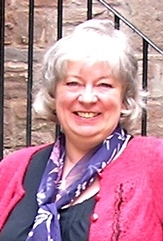 [S64] General Record Office for Scotland, online www.scotlandspeople.gov.uk, General Record Office for Scotland (Edinburgh, Scotland), GROS Statutory Marriages 1893 Abdie 400/ 8 [Oct 2017]. [S64] General Record Office for Scotland, GROS Statutory Marriages 1893 Newburgh Fife 450/ 9 [Mar 2018]. 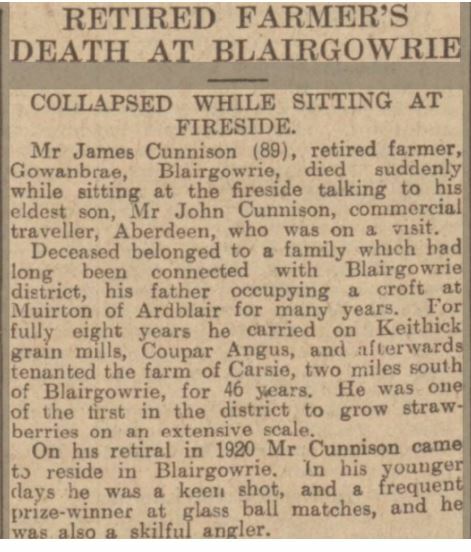 [S50] General Record Office for Scotland, online www.scotlandspeople.gov.uk, General Record Office for Scotland (Edinburgh, Scotland), GROS Statutory Death 1949 Blairgowrie 335/ 37 [Oct 2017]. [S54] Website findmypast.co.uk (www.findmypast.co.uk) Newspapers Collection Dundee Courier 9 May 1949 [Sep 2017]. 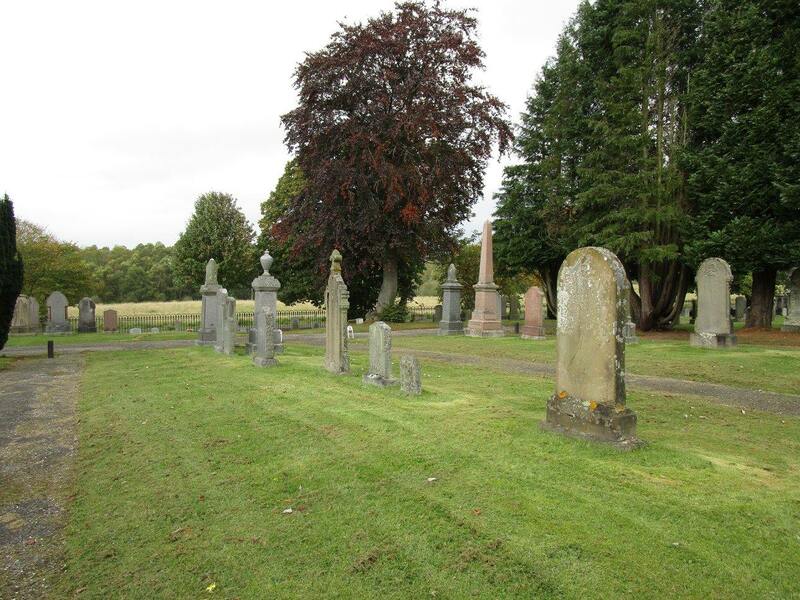 [S21] Headstone Photograph; , AD [Sept 2017]. [S64] General Record Office for Scotland, GROS Statutory Marriages 1922 Burntisland 411/ 1 [Oct 2017].